Wood is one of the oldest construction materials in the world and still enjoys great popularity thanks to its many advantages. Whether it’s for aesthetic, economic or environmentally-friendly reasons, building with wood is forward-looking and offers stable career prospects. 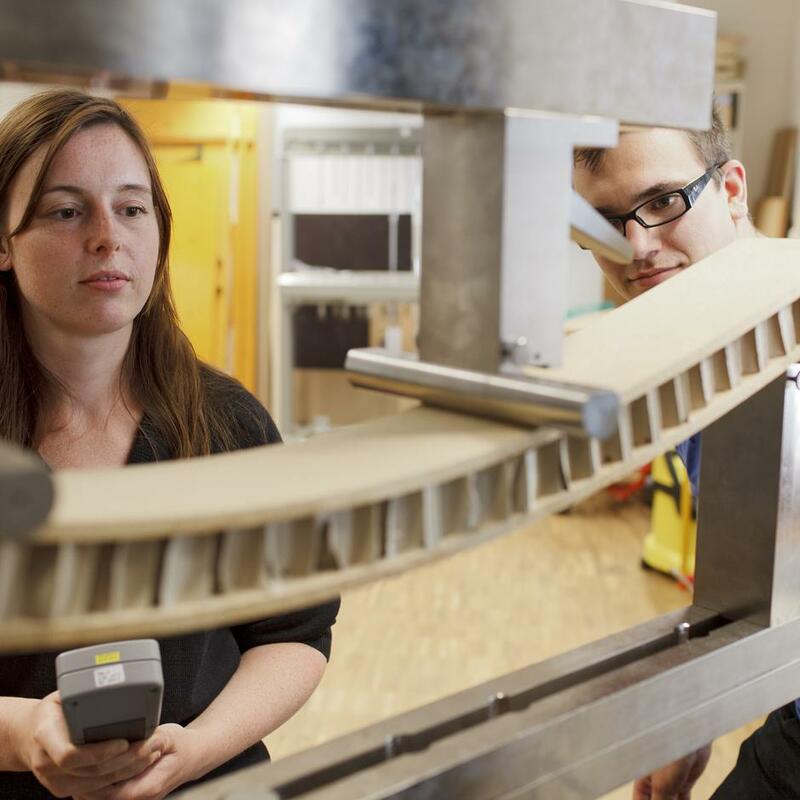 Through its combination of construction, building physics, building technology and training in business administration, Rosenheim’s Wood Building and Construction course is unique in Europe. The skilled education and practical focus provide the best conditions for independent work and innovative approaches. The course promises unrivalled career prospects – in Germany and abroad. Thanks to their multi-faceted and skilled education, students can open doors to various areas of work including within and beyond the wood building sector. Career opportunities can be found not only in companies but also in the public sector and self-employment. Admission to the course is not restricted.